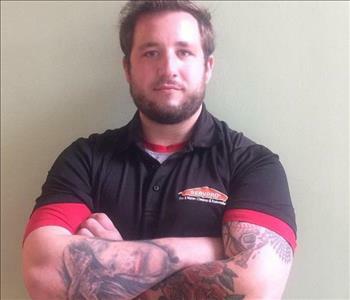 Michael Talay is the Operations Manager at SERVPRO of Society Hill and SERVPRO of Burlington/Mt.Holly. He is experienced in Fire, Water and Mold cleanup and restoration. He oversees the daily activities for our crews. 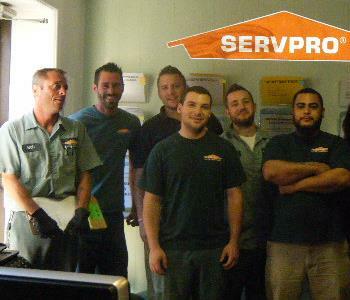 At SERVPRO of Society Hill our team is ready to work hard and make your fire, water, or mold damage. "Like it never even happened." ®. 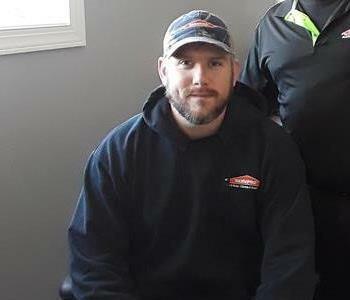 Eric Varnes is one of our Production Managers at SERVPRO of Society Hill and SERVPRO of Burlington/Mt.Holly He has several years of experience and has the IICRC certifications to prove it! 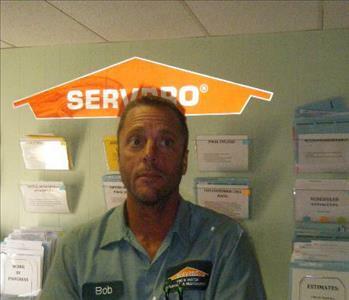 Robert Pollick is a Crew Lead at SERVPRO of Society Hill & SERVPRO of Burlington/Mt.Holly. He is very dedicated and has several years of experience with mitigation and restoration services! Kevin has been with SERVPRO of Society Hill and Burlington/ Mount Holly for 12 years! He started as one of our cleaners and worked his way up to Operations Manager. Kevin holds many certifications in every type of job we do. 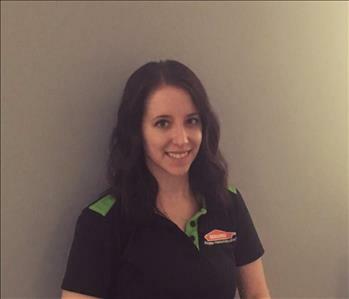 Elizabeth has work with SERVPRO of Society Hill and Burlington/Mount Holly for 8 years. Started out as a part-time Administrative Assistant. Now as A/R representative, Admin, Part Time estimator. – She says "I am the utility player in the office – do a little bit of everything." This is Paul, Jerome and Kenny. Paul has 5 years experience working in the restoration industry and is our newest member of the team! 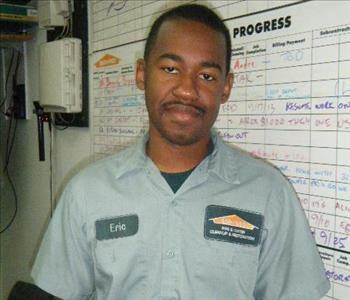 Jerome is a production manager and has 1 years experience working at SERVPRO of Society Hill / Burlington Mount Holly. Kenny has worked for us for under a year but has already completed certifications in WRT, Applied Structure Drying, Fire Restoration, Smoke Odor Control and Enterprise Structural Drying. It's that April Showers Month!